So you’ve got friends and family coming over this weekend. You really want to impress with your epic baking skills but have limited hands on time and need a very simple recipe that’s easy to follow. Well I’m pleased to tell you, you’re in the right place my friend! Step by step pictures to make it super simple! Well if you think like me and agree with all the above, let me tell you lovey – you’ve only gone and hit the recipe jackpot! The recipes I’ve carefully selected to feature in this post not only look very impressive and taste incredible – but they’re deceptively simple to make too! Exactly what we need in our busy modern day lives right? Want a FREE Best Bakes ebook with GAME CHANGING tips? So before you throw in the towel and head to the shops instead, check out these super simple (yet genuinely lavish) bakes that are just perfect for you to make this weekend. 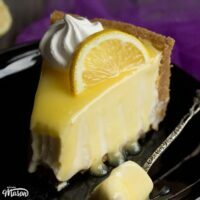 I guarantee your friends and family will be more than impressed -they’ll be begging you for the recipe! Impress your friends and family with these alarmingly simple baking recipes! 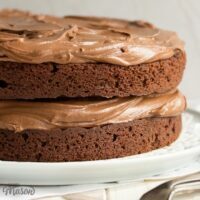 This beautifully simple 'dump it in' all in one chocolate cake is perfect for any and all occasions! 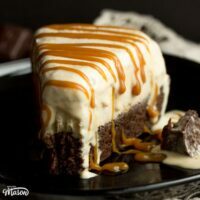 This intensely luxurious brownie bottom ice cream cake recipe is not only INSANELY easy to make but it's seriously showstopping too! Perfect for Summer barbecues, dinner parties or even an alternative Christmas dessert - when you really want to impress. 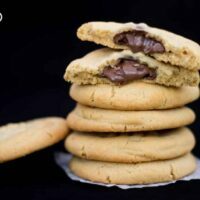 These gorgeously indulgent Nutella stuffed peanut butter cookies are not only impressive but really easy to make! 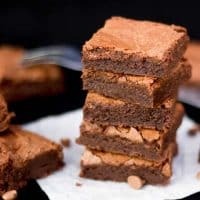 The easiest brownie recipe EVER! Made in just one bowl, these rich and indulgent brownies yield the most wonderfully fudgy and decadent flavour of all the brownies I've ever tried! Would you like my 5 most effective top tips to guarantee baking success and a completely FREE Best Bakes e-cookbook that’s crammed full of easy/impressive recipes and top tips? I would LOVE those game changing tips and a free e-cookbook!